Note: Ken Hurst Park is completely fenced and gated. Permission for access is not usually provided but the Friends of Ken Hurst Park occasionally conduct tours. Should you wish to join a walk please click on the link below for a KHP email contact. 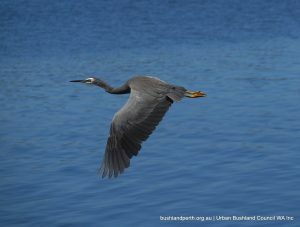 Ken Hurst Park is a 53 hectare area of remnant bushland in Leeming bounded by Roe Highway to the north; Leeming Road and Jandakot Airport to the south and the standard guage rail line through the centre. 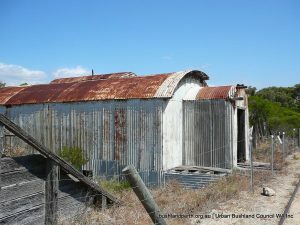 It is about 20 km south of the Perth CBD and is accessed from Leeming Road. It is a Bush Forever site. Download the KHP Bush Forever listing here. 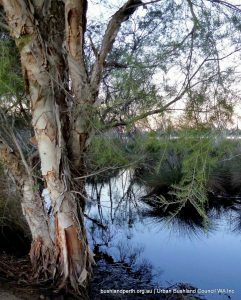 The Park’s landscape is Bassendean Sands of aeolian origin derived from the Bassendean Dunes geological unit and characterised by low dunes with fine to medium grained quartz sands, white to grey at the surface and yellow at depths and sandy inundated or waterlogged interdunal swales. Bassendean sands are generally leached and quite infertile with shallow accumulations of organic matter in the swales and depressions. The Park is extremely biodiverse with over 350 plants recorded across dryland and wetland landscapes. The vegetation found on the ridges includes Candle Banksia (Banksia attenuata); Firewood Banksia (Banksiamenziesii) and Sheoak (Allocasuarina fraseriana). 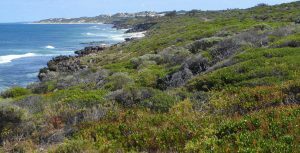 On the dune slopes are Candle Banksia, Firewood Banksia and Sheoak low open forest with scattered Prickly Bark (Eucalyptus todtiana) and Christmas Tree (Nuytsia floribunda). 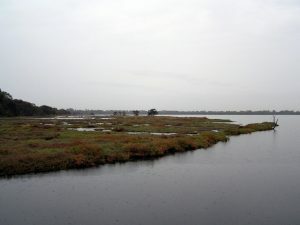 The flats and wetland areas show a range of vegetation types. There are areas of closed low heath consisting of Regelia (Regelia inops), Spiked Scholzia (Scholtzia involucrata), White Myrtle (Hypocalymma angustifolium), Spearwood (Kunzea ericifolia) with scattered Moonah paperbarks (Melaleuca preissiana). There are also area of low woodland comprising Holly-leaf Banksia (Banksia ilicifolia) and a mixed open woodland consisting of Swamp Banksia (Banksia littoralis), Moonah, Christmas Tree and Jarrah (Eucalyptus marginata). 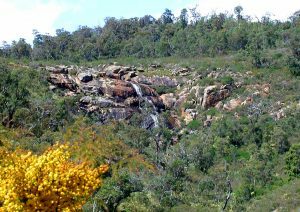 Other vegetation types include Moonah tall open scrub; a low open woodland of Moonah and Swamp banksia over Balga (Xanthorrhoea preissii) Shrubland and a mixed Banksia and Eucalyptus woodland. 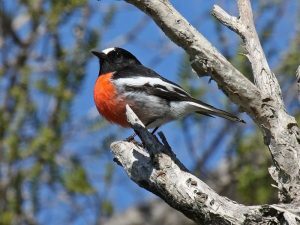 Most of the bushland is in very good condition with smaller patches in the south-west and along the railway line in excellent or good condition. 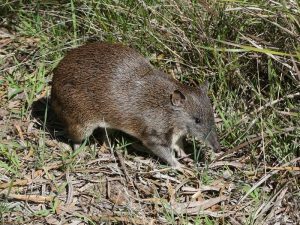 The bushland supports a number of significant mammals including the Quenda and Western Brush Wallaby. 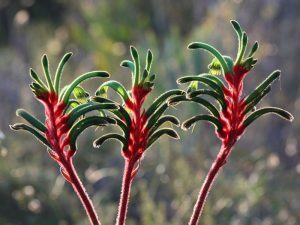 It also contains the largest population in the metropolitan area of the declared rare orchid, Caladenia huegelii and provides important habitat for endangered black cockatoos. Access to Ken Hurst Park. Note; Ken Hurst Park is completely fenced and gated. (refer here) Permission for access is not usually provided but the Friends of Ken Hurst Park occasionally conduct tours. Should you wish to join a walk please click on the link below for a KHP email contact. Sourced from Ken Hurst Park Management Plan – City of Melville. Ken Hurst Park Management Plan Appendices. Keith Lightbody’s Ken Hurst Park Image Gallery. The Friends of Ken Hurst Park look after this Wonderful Place.